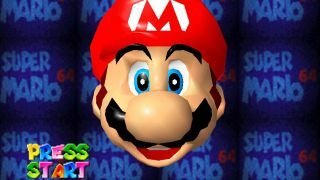 At the ripe age of 19, Super Mario 64 remains a favourite among speedrunners - and one of them just discovered a brand new glitch. The discovery was made by pannenkoek2012, one of Mario 64's most dedicated exploiters, who was watching the stream of Twitch user DOTA_TeaBag. DOTA_TeaBag pulled off an "upwarp" on the Tick Tock Clock level. In simple terms, he made Mario rocket upwards, skipping a section of the level. Such an exploit could be valuable to speedrunners, but pannenkoek2012 has so far been unable to replicate the glitch - so he's offering $1000 (about £640, AU$1365) to the first person who can. If you want to try it yourself, you'll need to a) reproduce the glitch and b) upload it in a .m64 and .st file to a filesharing site, before submitting it to pannenkoek2012. As the glitch was done on the Japanese version, you're advised to do the same. There's a save state for the Tick Tock Clock room for the Japanese version in the video description, to save you some time.